Today’s post is very different than what I usually post, like the title says, I am gonna share with you 6 easy and effortless hairstyles for short hair but that can also work on long hair. 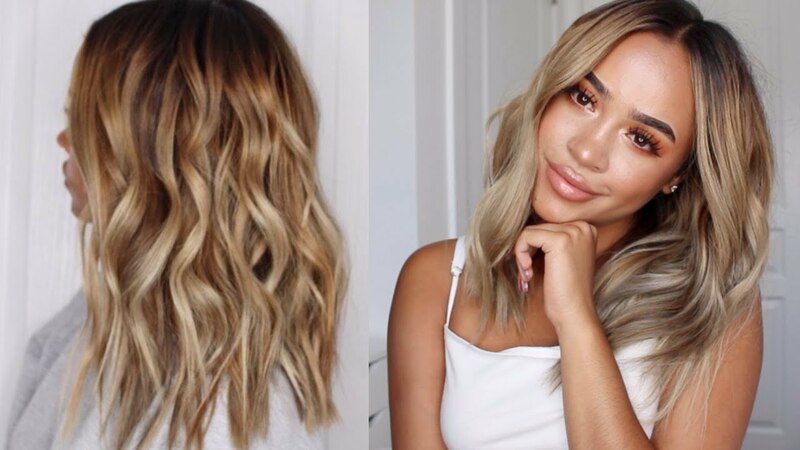 You guys know I’ve had short hair for a while now and honestly, it is so hard to style them because they are so short and thin so if you’ve got short hair like me, you’re gonna find this post very helpful and if you’ve got long hair, I think these hairstyles can still work on you! Let’s get into this post! 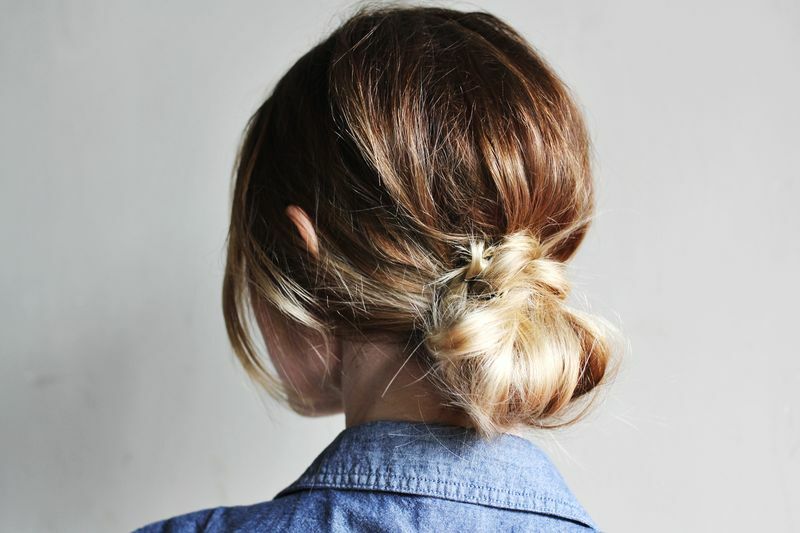 The double half bun is so easy to create and can work for long and short. I often do this hairstyle and my trick to achieve a perfect one is to directly look at myself in the mirror to make sure both buns are even. My technique to create a bun is almost the same as to create a pony tail but instead of letting the hair go through the hair tie, I wrap the tie around my hair. This is my current favorite hairstyle, it’s so grungy and easy to create, it literally takes me 2 minutes to make it however, I would advice you to braid your hair while they are still wet, it’s just easier to style your hair that way. After spending a couple of hours or a whole day with this low braids, I like to keep them overnight to achieve beach waves the next day cause who doesn’t like beach waves honestly! I wear this hairstyle almost everyday to university cause it’s the easiest to do and it allows me not to have hair on my face when I work. This low bun with huge earrings is my favorite. It’s harder to achieve it when you have short hair but that’s why I use bobby pins, to make sure my baby hair don’t go all over the place. This hairstyle is so boho, I love it. It’s so nice for when you have an occasion, it’s simple yet very elegant. Again, it works for short and long hair! How I achieve this hairstyle? instead of braiding part of my front hair, I just twist them then secure them in the back with bobby pins. You can obviously achieve the same thing with brands but my hair is too short and it gets annoying to braid them. Now that I have short hair I am gonna try these. 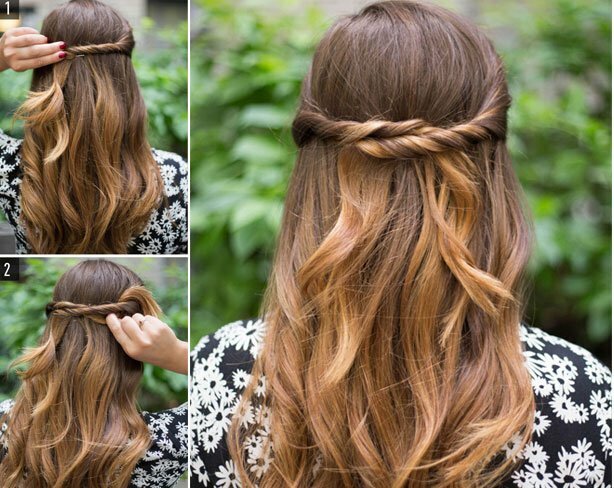 My favourite is definitely the beach waves ! I absolutely hate my hair! Long or short I’m never happy with it and I’m rubbish with different styles. These are all great easy ones that I’m sure even I’d be able to do though so thanks for sharing I’ll try some of them out! 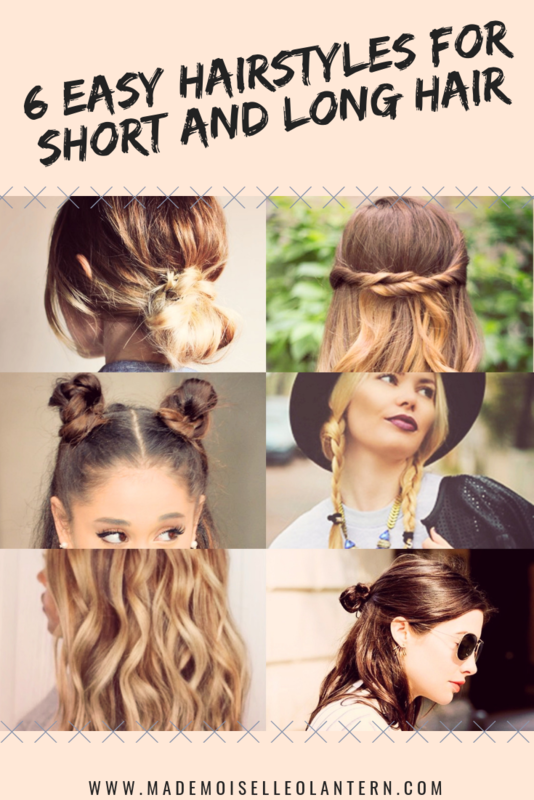 These are all cute hairstyles. I am guilty of not doing much with my hair and I would love to try out some of these. I cut my hair SUPER short after my husband left on his last deployment. Now, I’m wanting to go long again. This may help me in my transition. Great, easy hairstyles for mixing it up in the morning! I am a big fan of the half bun right now. Ooh I’ve recently had my hair done and have been wondering how to style it differently! These are such gorgeous looks and beach waves will always be one of my favourite go-to styles! LOVE easy hairstyle suggestions, i’m the worst with styling my hair! I love all of these, so cute!! The low bun is my go to. I’ve been in a hair rut lately. I needed some I spiation for new styles. This is great! I really love the Twisted Halo. Love this. I wish i knew how to braid my hair too because it would turn some of these simple looks I to something more lol. I especially love the low bun, I’ve been doing it a lot recently and I love it. So effortless.